What types of event spaces do you have? What all is included in the venue/package cost? What is the location of the venue? Do you have guest accommodation? What is the décor policy? 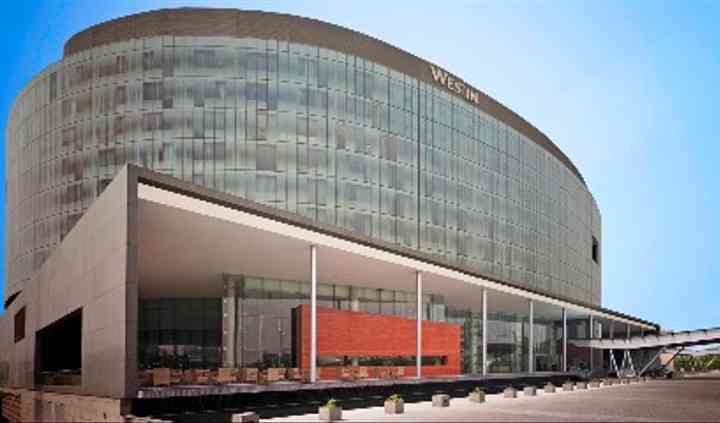 The Westin in Gurgaon is one the most popular business hotels in the city. It is only fifteen minutes away from the airport and is easily accessible from the party destinations of the capital region. The Westin has beautiful and spacious banquet halls, stunning gardens, and amazing event services to celebrate your wedding perfectly. From traditional to contemporary, be it any type of wedding or event, The Westin will serve you with great dedication and will offer you unforgettable hospitality. 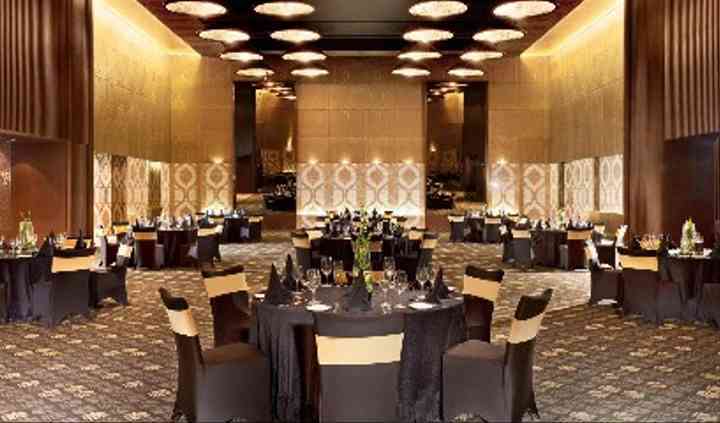 The Westin offers you its majestic Westin Vatika Ballroom, which offers you tranquillity and sophistication. It can accommodate 1200 guests and has space with neutral tones that can blend into any theme or setting. 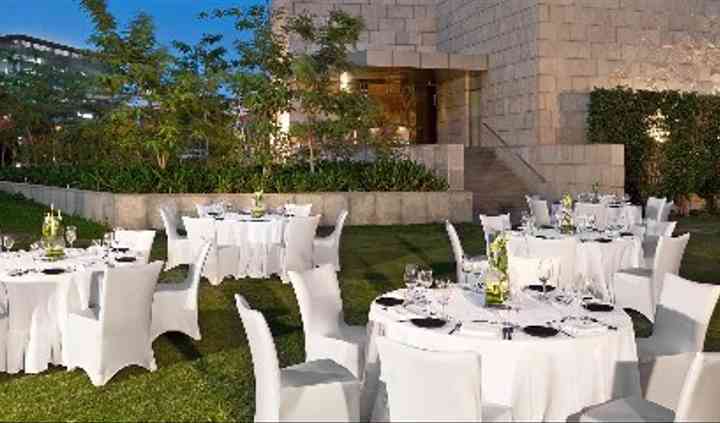 If you need an outdoor location, the green and gorgeous Westin Lawns will be ideal, which can be enhanced by any suitable theme or event. They also offer amenities like valet parking, furniture, basic lighting, electricity, and backup. 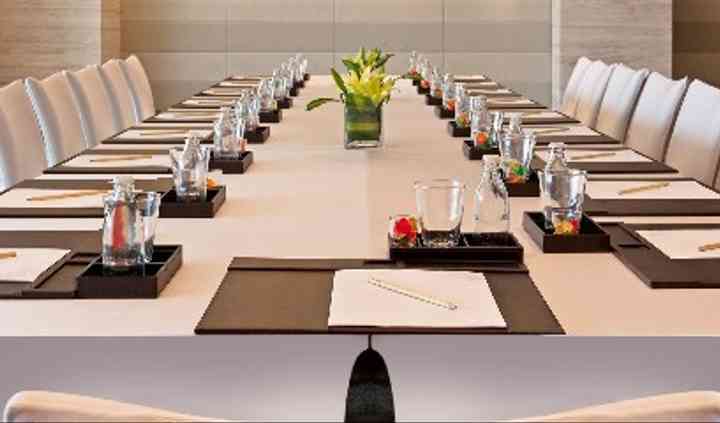 The moment you step in, the professional and delightful staff of The Westin Gurgaon will welcome you with friendly and very personalized hospitality. You will have dedicated wedding specialists, who will ensure all the planning process is primed to perfection. The services offered by them include service staff, external decor vendors are allowed, external catering vendors are allowed and exclusive space for special events. Their staff takes care of all the arrangements so that you can sit back and enjoy your nuptial ceremonies without any hassle.